Was it really SHEET MUSIC and, not the PICTURE SLEEVE? Hmmm. That was an import picture sleeve. Guess it could have been purchased overseas by Sharon or someone else. But a picture sleeve in the piano? Good thinking!! If I could figure out how to upload my image of the 1230 sheet music I would do so! How do Scott Lancer, Sam Wanamaker, and Connie Stevens fit into the story? Lurker popping up: I read an obscure article recently that named the sheet music open on the piano, & it wasn't "Straight Shooter", nor was it "Twelve Thirty", but while I can't find the article now, nor remember the exact song that was mentioned, I do recall thinking that it was sadly appropriate: an oo-ee-oo, as it were. I do recall the article mentioning that it was a recent M&P song, which would put it as one from "The Papas & Mamas", I guess. Based on a lovely pic of Gibbie seated at a piano, dressed elegantly & apparently performing at a recital, I like to think of it being her at the piano, deriving some joy in playing that summer. I was 13 that year, & while I adored my piano teacher (she taught me jazz piano along with the usual classical techniques), but I loved & collected sheet music to learn popular songs. One, in particular, earned me preppy street cred at parties: "Windy", by The Association. It translated to piano quite well. Can not wait for this to be released. Curious as to exactly how much the Manson and the Tate/LaBianca murders play into this film. 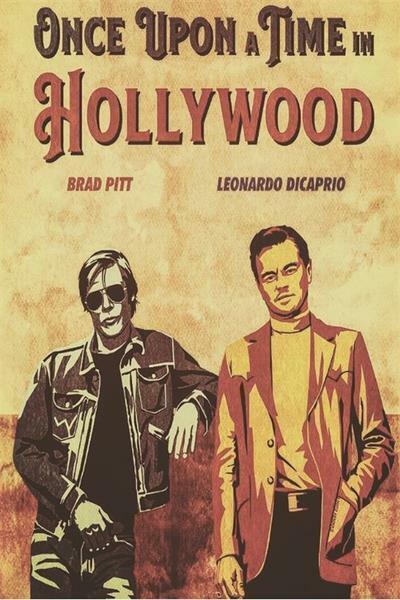 From what I've read it's about the DiCaprio and Pitt characters in a 1969 Hollywood that they no longer recognize. I am so excited for this movie. It's been awhile since I was this fired up about a flic. 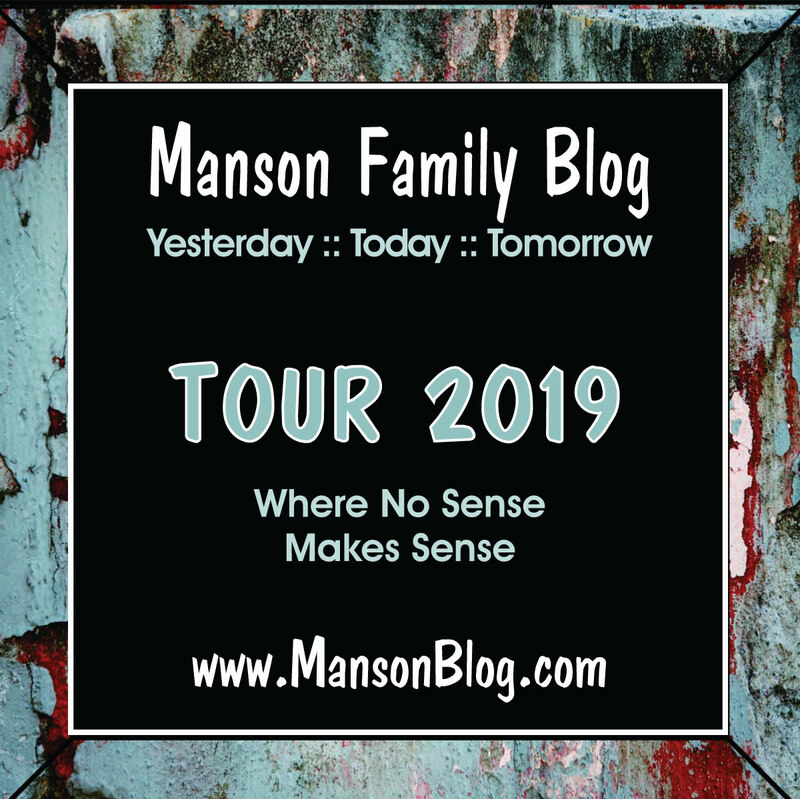 I am a big fan of the idea Manson is part of the plot but not the central character of the story. I think it's a lot easier to give hints of the Family and their lifestyle than to try to recreate them exactly. Especially to experts like all of you lol instead of trying to argue the authenticity or specifics of every detail- we can sit back and enjoy a tale of the times.. The guy playing Steve McQueen is a decent simulacrum of him. Not sure about the Bieber clone playing Tex though. I'm about to watch, The Monster from Green Hell. According to the trivia section it was shot at Spahn Ranch. Murderers aren't the only monsters I'm interested in. Orwhut- IMDB lists three locations, two of them being studios and one being Bronson Caves in LA. I too, love these types of movies and am curious if this movie if what inspired Glenn Danzig to write the Misfits song ‘Green Hell’. Tons of musicians ‘borrowed’ from the horror genre whether it be books or movies. Unless you were familiar with the work cited, it was tough to figure out pre internet and spread by word of mouth. The sheet music on the Baby Grand was "Straight Shooter" and "Pomp and Circumstance" (which is the graduation march). Yes. I know that is the story. Do we know the source? The materials exist as two separate but overlapping version of the transcripts - the dailies for the trial and what looks like the record on appeal for the penalty phase. Both are incomplete, but by matching them up, I was able to cover the entire trial pretty thoroughly. The dailies are broken up by day, whereas the appeal record is done in 300 page tranches irrespective of date, so it was a little difficult matching them up precisely and I may not have been able to account for partial missing days as well as I could have. A. Where a day was missing from one version but appeared in the other I indicated that in the second column. C. The cover pages to the daily transcripts list the witnesses and the page where their testimony starts as well as the exhibits entered on that day. I included that information. But the appeal record does not, and I didn't have the energy to go ferreting them out. But I did try to at least get the start page for each witnesses testimony. The link to the document is here and you should be able to download it. If anyone can figure out how to host it to allow people to fine-tune it, feel free. I got my information when I clicked on the trivia tab at Amazon Prime Videos. While watching the movie, there were a few scenes that looked to me as if they might have been shot at Spahn Ranch. Sorry if I steered you wrong. BTW, I didn't like the movie. Rbcsoup: "Yes. I know that is the story. Do we know the source?" The only source for this is Ed Sanders in both The Family and Sharon Tate: A Life as you noted above. As always he offers no source for his statement. It is not in the property report. And while images of the room post crime show sheet music on the piano no image I am aware of shows the actual titles. It is unlikely, IMO that any police official would consider the matter significant enough to merit a notation. It is not in the Life article when Polanski returned to the house, although the sheet music can be sen in those images as well. Sharon Tate didn't play piano. Abigail Folger did. I scoured the available sources for this for a series of posts I wrote about her and left it out because like much of what Sanders claims I couldn't find any reference and frankly can't imagine what source he could have accessed for the information. Granado et al had more important things to do. Rumer Willis as Joanna Pettet? Lena Dunham as Catherine Share? I guess we are in for some Charlize as Aileen in reverse. Isn't that a picture of Susan Atkins rather than Gypsy? "Isn't that a picture of Susan Atkins..."
Nope, that isn't Susan Atkins. That there is Catherine Gypsy Share. This is one of those stories where I think all the real people played themselves perfectly the first time. Rbcsoup: "Would love to see that article. The singles from the album which followed 12:30 and which would make the most sense are Safe in My Garden and For The Love of Ivy"
I am almost sorry I brought it up, since I can no longer find the piece that mentioned it now! 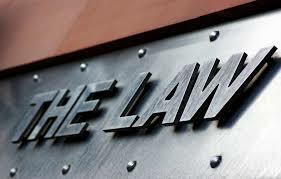 It may have simply been some unsubstantiated blog thing, although that's doubtful because here is the only blogging I read about the cases, almost exclusively. The article did not draw the conclusion about Gibbie being the pianist: that is my own fanciful construct. I apologize for my lack of receipts! tinkse7en! I can't disagree with that. Tex's quote was pretty weak, but who could play Charlie better than Charlie, and Squeaky, and Sandra, Steve McQueen, Bruce Lee. So many of them, even non-actors were really kind of natural at acting. 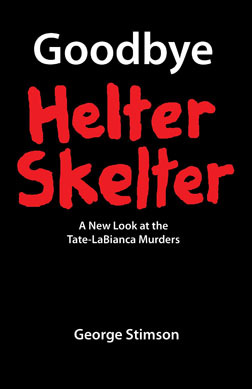 Like Squeaky said when she saw Helter Skelter, if Charlie had been like Steve Railsback, she never would have followed him.